5 Star Billing Services offers medical billing, medical coding, and medical revenue cycle management services for plastic surgery centers of all sizes. We’re committed to helping our clients collect on more invoices and increase their revenue, while decreasing the workload of their staff. Our years of coding expertise and experience sets us apart in the area of plastic surgery billing, and we offer a complete business solution. Our extensive plastic surgery expertise makes billing fast, hassle-free and easy. We have the knowledge and know-how to ensure that you receive accurate and speedy reimbursements, giving you financial peace of mind and allowing you time to dedicate to your patients. 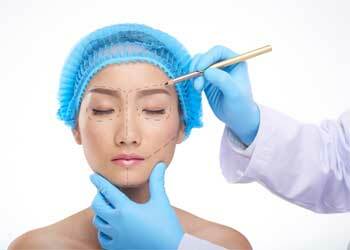 At 5 Star Billing, we have a team of professional and certified coders who are experts in plastic surgery billing. We ensure that your surgeries are paid for in a timely manner. We utilize plastic surgery billing software to ensure your surgery documentation aligns with your surgery procedure codes. In addition, your surgeon can easily document all surgeries. Our outsourced solutions are guaranteed to be 100% compliant with all HIPAA guidelines. Our clients can be sure that their data and processes are absolutely secure.